Great for home, school and office, this 12" Steel Ruler features a strong metal ruler with standard measurements on one side and metric measurements on the other side. 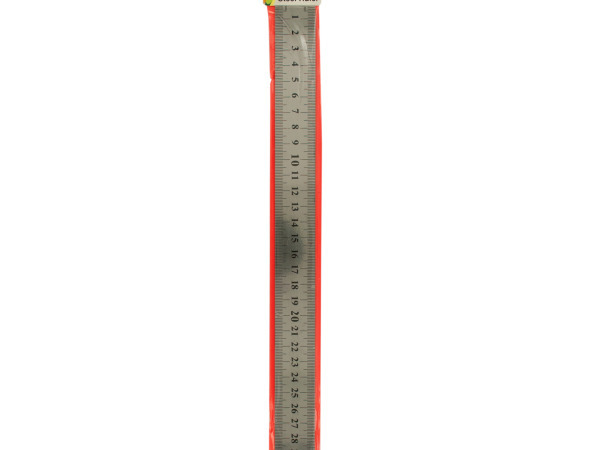 Ruler has a hang-up hole for easy storage. Comes packaged in a poly bag with a header card.